For many modern people, a garden is a personal statement. It shows the owner’s relation with the earth like a wardrobe shows the wearer’s relation to society. The exploding growth of the gardening business suggests a popular dream, and the dream is of nature and culture growing together. Evan Eisenburg comments that, “For some people, that is what paradise is: a small piece of the earth’s surface that can be made over to match our dreams.” Perhaps that is the most practical thing most of us feel able to do for the earth—to beautify whatever plot of land we can call our own. In the rather unlikely case that a dedicated gardener issued a vision statement, it might read like this: “I want the place I live to be green and beautiful. When I leave this place, the ground will be more fertile than when I came. Year by year I will make it richer and more beautiful here, because it pleases me.” If such sentiments sound familiar, perhaps it is because they echo the attitudes of traditional villagers around the world. “Mama” Benedetta Ndolo leads a village women’s group in the Iveti hills of Machakos district in Kenya. From the top of the hill in her village you can see for miles to the northwest, over the dusty countryside stretching towards Somalia. For a whole afternoon Mama Ndolo took me around her village, showing off her group’s various accomplishments. We toured the hill-slopes terraced by village work-parties. We examined cement rain-water jars, paid for one at a time by funds from the women’s group garden. Then we looked at the many small nurseries of fruit-tree seedlings. Towards evening we went to her house, and there I saw what impressed me most. It was Mama Ndolo’s latrine, out her back door, through her grove of banana trees. I went there just as darkness was falling. The valley was deep in shadow, with orange sunbeams still streaming over the hilltop, lighting the wisps of cloud overhead. Mama Ndolo’s outhouse had no roof; only reed walls, covered with morning glory and passion fruit vines in full flower. Squatting inside, I watched as the stars winked on and the moon appeared above the trees. A roof on that latrine would have been a disaster. Instead of a private flower-garden planetarium, it would have been a dark little cell with flies buzzing inside. But the best thing about the latrine was the sound of the wind in the trees. Three years before, Mama Ndolo’s friends started planting tree nurseries of mango, eucalyptus, and other seedlings. Years before, at the UN Conference on Desertification in Nairobi, several African governments had proposed planting two great belts of forest, one across North Africa and the other south of the expanding Sahara. After the conference, most governments did little about it. Perhaps they were under pressure to cut spending and pay interest on their loans. 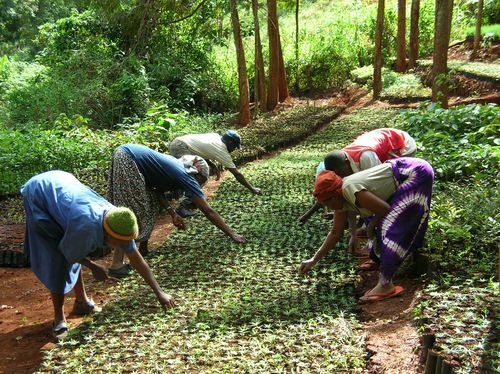 In Kenya the government advocated tree planting, but it was the village women who were most concerned to save the land beneath their feet. Nobody paid these women or counted the cost of their reforestation efforts. The trees were their pay. And now the new forests of Mama Ndolo’s village stood around 12 feet tall. When you sat in the latrine, you could hear the breeze sifting through a whole hillside of young trees. It was a sound like whispering, or the purring of cats—as if the trees had moods and were sighing their happiness. They seemed full of confidence, as if they were sure that Mama Ndolo’s women are here, and this place will never become desert. Eisenburg, Even, The Ecology of Eden, Random House of Canada, Toronto, 1998, p. 177. Griffith, Brian, The Gardens of Their Dreams: Desertification and Culture in World History, Fernwood Publishers and Zed Books, 2001, pp. 342, 345. 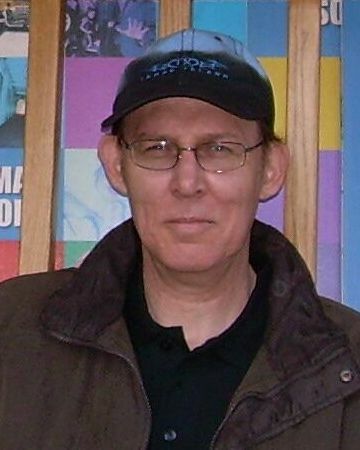 Brian Griffith is an independent historian who’s interested in culture wars and cultural creativity. So far he’s written four books. The Gardens of Their Dreams: Desertification and Culture in World History examines how environmental degradation has affected society across the center of the Old World from ancient times forward. Correcting Jesus: 2000 Years of Changing the Story and Different Visions of Love: Partnership and Dominator Cultures in Christian History reflect on the culture wars that have raged within Christianity from the religion’s beginning down to the present. A Galaxy of Immortal Women: The Yin Side of Chinese Civilization explores the alternative traditions and religions of Chinese women, which offer the world a powerful vision for partnership, health, and spirituality. He lives in a multicultural marriage in the multicultural hub of Toronto, and publishes with the Exterminating Angel Press.